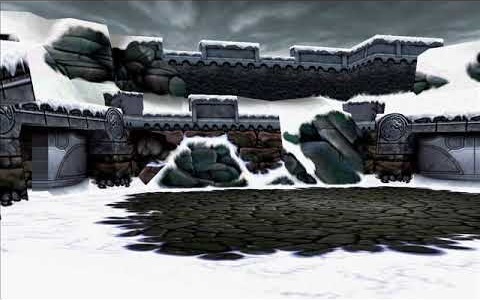 Whats your favorite MK background? Mine is either the Dead Pool or Living Forest. Prison of Souls. The landscape had that ambience to it. 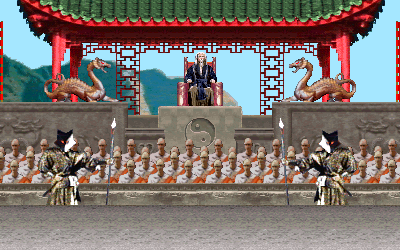 <br/> MK- The Pit and Shang Tsung's Throne room <br/> <br/> MKII- Pit II and Deadpool <br/> <br/> MK3/UMK3- Bell Tower,Subway,Graveyard,Pit 3,Bridge,and Scorpion's Lair.The rooftop stage would of been better if you could uppercut them off for a fatality. 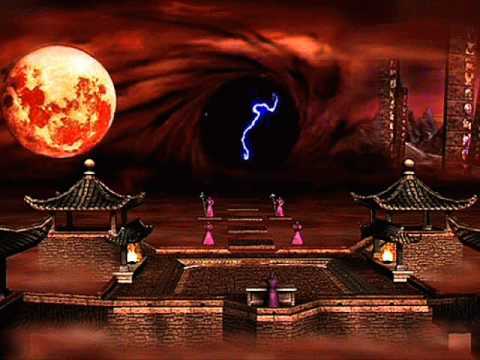 MK3/UMK3- Bell Tower,Subway,Graveyard,Pit 3,Bridge,and Scorpion's Lair.The rooftop stage would of been better if you could uppercut them off for a fatality. 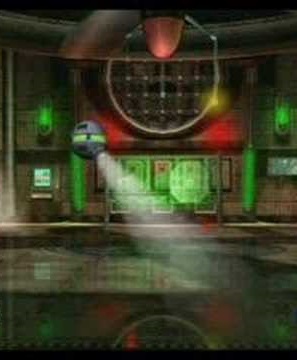 I always liked the dead pool, it's the most "mysterious" level of the game because at least for me, I have no idea what exactly is this place and where it's located. Scislac busorez.... Sounds more like an alias than it does a stage, so there must be a mysterious reason for it (still another great looking arena though, for its time). MK1: The Pit. Easily. 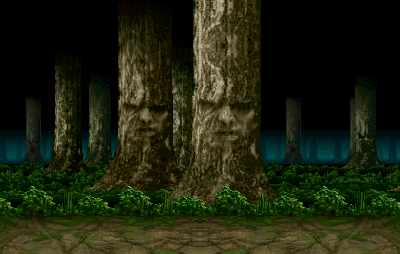 I had the game on Sega Genesis, and I love the look and music of this stage. MK2: Evil Tower. Sadly I grew up with the Sega Genesis version, and the Shadow Priest was missing. That said, it's another great looking and sounding arena. MK3: The Church. Tremendous music, and I love the MK Dragon labelled mosaic window in the background. - MK1: Bottom of the Pit. Maybe it was the difficulty of getting here, or the brutality of bodies impaled on the spikes, probably a combination, but this became my favorite arena of the introductory title of the series the moment I laid eyes on it. - MKII: The Pit II. Easily my favorite of the second installment, entirely because of the mystery surrounding the characters in the background and the inclusion of a Stage Fatality. - MK3/UMK3: The Street. Purely because of the choice of music for this stage. Never played MK3/UMK3/MKTrilogy enough to find any of it to be very memorable, aside from the broken characters, repetitive and unimaginative Fataities, and the needless inclusion of the eyesore that was the Animality. - MKTrilogy: Scorpion's Lair. A fan of Scorpion since I first heard "GET OVER HERE!! ", there's no way this wouldn't be one of my favorite stages. The only thing it was missing was a Stage Fatality. But, considering how little interest I had in MKTrilogy for the same reasons I disliked MK3/UMK3, this is really the only one I found memorable enough to place here. - MK4: Ice Pit. Even for the time, I thought the MK4 backgrounds (and graphics overall, really) were atrocious. A lot of them also felt very empty. The two arenas I did find appealing enough to make it onto this list were Reptile's Lair and Ice Pit. If I had to choose between the two, I'd opt for Ice Pit simply because I love wintry themes. - MKDA: Lost Tomb. 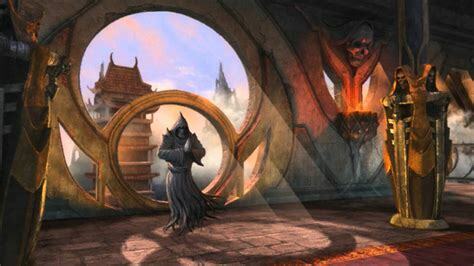 The lore behind this arena and its significance in the awesome introductory FMV has this one atop my list of a handful of favorite MKDA arenas, the likes of which are some of my all-time favorites in the series. - MKD: Dark Prison. I'm always going to be a fan of arenas with action in the background and cameos by characters from preceding titles, and this arena has both. The surprise created when you're grabbed by one of the prisoners for the first time is just one more nugget that makes this arena so memorable. - MKA: None. All of the arenas debuting in this title seemed rushed and, as a result, uninspired. 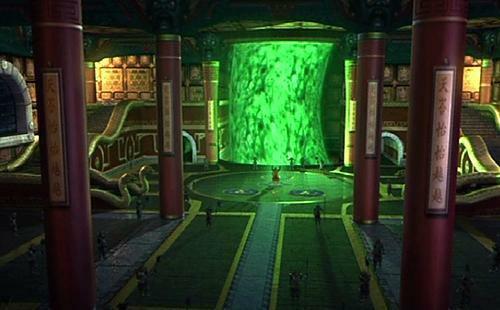 - MK9: Evil Monastery. Every single arena in this game looked absolutely spectacular, some even breathtaking. The only reason the Evil Monastery takes the top spot is because of the music...and the surprising intricacy in the detail of the pillars/statues. - MKX: The Kove. When it comes to the overall attractiveness of arenas in MKX, it's surprising how vast the rift is between one and the next. The Kove is one of those that is a stark contrast to the atrocities that are arenas like Jinsei Chamber and Training Room. The skull carved into the rock face in the rear was the cherry on top of the sundae comprised of the overall aesthetic appeal of the Kove. The intractability and secret Brutality involved in using the rotting corpse that splashes against the side of the dock was a nice touch as well. Loved surprising online victims with that or the uppercut Brutality mid-kombo. 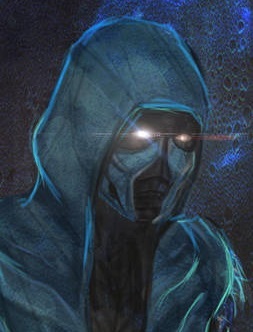 The "mysterious reason" for this arena's name is that it's an anagram for "Classic Sub-Zero" and a hint that has something to do with him that I can't exactly recall since I wasn't too big a fan of UMK3/MKTrilogy. My bad if you were already aware of this. I only put my favorite stages ones from the Mortal Kombat games that i played so far.